How can I travel to Hungary? There are several low-cost airlines that fly to Budapest. Here is a list of carriers at which you can book your ticket. Flight ticket is the only thing that has to be booked on your own, everything else is done by your personal coordinator. Let us know when you would like to start treatment and we will organize your appointments, accommodation and Budapest airport transfers. We will work closely with you and will continuously inform you about the process as you approach starting date. If I decide to go to Hungary how much time is needed to organize my arrival and treatment? To organize your visit takes approximately 2 weeks including organizing your leisure time and accommodation. In certain cases, and if you already have your means of transport, we might be able to help you within a couple of hours. We offer a wide range of accommodation on our website from apartments to 5 star hotels depending on your needs. All our partner hotels provide comfortable stay, just let us know how many of you are coming and we will get them booked for you. 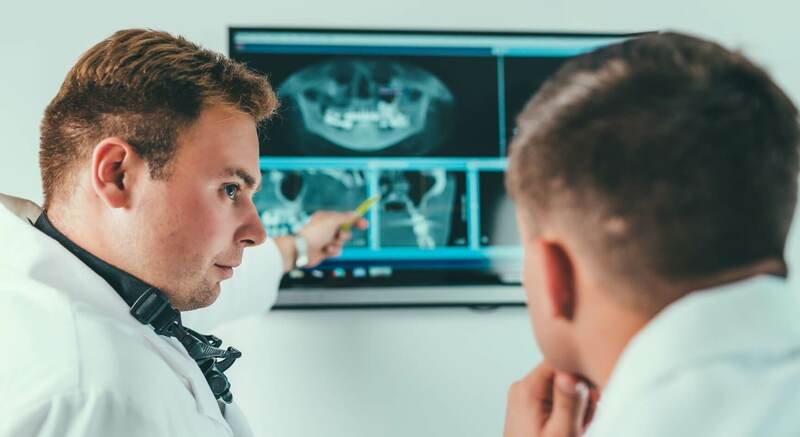 When you meet our dentist in London for a personal consultation, you will be advised about the length of treatment and the number of visits required. Your treatment plan will include all such information so that you can take off time accordingly. If you wish to do an immediate start we advise to buy a one-way ticket to Budapest and once we have set up the treatment plan for you, you can buy your return ticket back to the UK. We provide computer and Internet if needed. Our team will help you find the program that suits you the most. At your request we will organize day trips on your non-treatment day(s) and help you to spend your free time, suggest restaurants, museums, concerts and help you with local transport. Is the airport transfer free of charge? Airport transfer by our contracted taxi company is offered free of charge to customers who book their accommodation through VitalEurope for their entire stay (min. 2 nights). Upon request, we can arrange this service for other customers for a fee of 9300 HUF (approx. 24 GBP) one way. The Taxi Company's helpful driver will meet you at the airport, provide you with a personalized information package and drive you safely to your hotel.